You can read Worldbuilding Wednesday: Winged Creatures in Myth and Folklore Part 1 over here. In the first part of these posts about winged creatures in mythology and folklore, I covered the firebird, lamassu, buraq, simurg, and benu bird. In this second part I’m covering griffins, hippogriffs, Garuda, harpies, and the alkonost. The griffin is most common in the “art and lore of Ancient Greece”, but representations of the creature have also been found in “Ancient Persian and Ancient Egyptian art dating back to before 3000 BC”. Orlando Furioso ”. It was also a favourite creature in medieval poems and fables (Rosen, 2009:119). 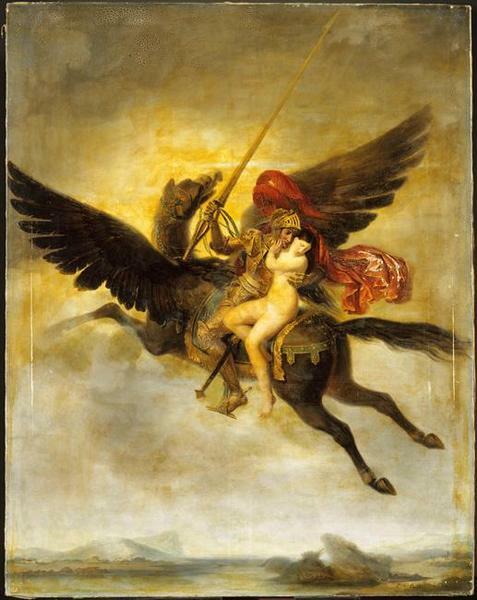 In Orlando Furioso, the hippogriff flies as fast as lightning (Rosen, 2009:119) and serves “as the mount of the wizard Atlante and carries the poem’s heroes on quests to rescue various maidens” (Rosen, 2009:119). “The story of Garuda‘s birth and deeds is told in the first book of the great epic Mahabharata. According to the epic, when Garuda first burst forth from his egg, he appeared as a raging inferno equal to the cosmic conflagration that consumes the world at the end of every age. Frightened, the gods begged him for mercy. 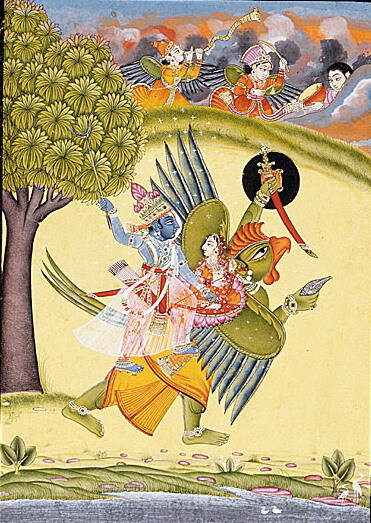 Garuda, hearing their plea, reduced himself in size and energy … Throughout the Mahabharata, Garuda is invoked as a symbol of impetuous violent force, of speed, and of martial prowess.” Krishna is even said to carry the image of Garuda on his banner. (Pāli: supaṇṇa), meaning “well-winged, having good wings”. “In Greek mythology and Roman mythology, a harpy was a female monster in the form of a bird with a human face.” Pottery art depicting the harpies featured beautiful women with wings. Rosen (2009:154) describes them as “hideous creatures with bodies of birds and the white faces of women who are pale with a hunger that can never be satisfied”. The ugliness of harpies (”e.g. in Aeschylus’ The Eumenides”) are, however, a later development, with Roman and Byzantine writers detailing their ugliness. 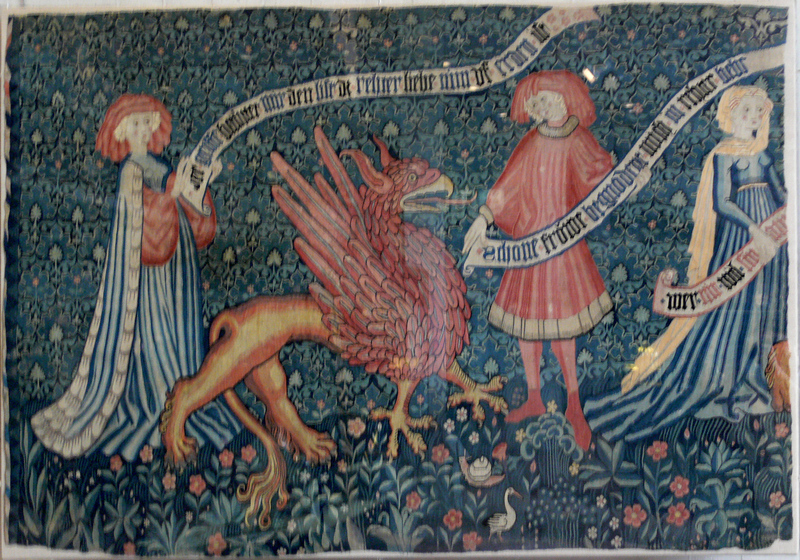 Harpies are said to be the offspring of Echidna and Typhon. Echidna is the mother of all monsters in Greek mythology, while Typhon is a monster with a hundred snake-like heads (Rosen, 2009:91). Friar, S. (1987). A New Dictionary of Heraldry. London: Alphabooks/A & C Black. Rosen, B. (2009). The Mythical Creatures Bible: The Definitive Guide to Legendary Beings. London, Sterling Publishers. Previous Happy International Translation Day! Gelukkige Internasionale Vertalersdag!